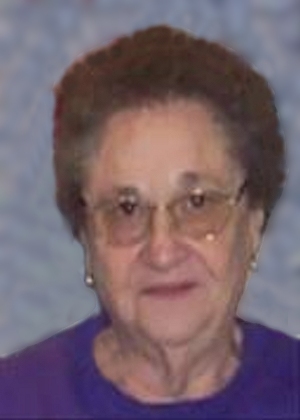 Obituary – Phelps, Lenora Mae (Keith) « Perry High School Alumni Association, Inc.
Lenora Mae (Keith) Phelps, 84, passed away Wednesday October 14, 2015 at Green Valley Nursing Home. Graveside services will be held at 10 a.m. on Monday, October 19, 2015 at Grace Hill Cemetery Pavilion in Perry. Funeral services are under the direction of Palmer Marler Carberry Funeral Home, Perry, Oklahoma. Visitation will be held Sunday, October 18, 2015 from 2-6 p.m., with family greeting friends from 2-4 p.m.
Lenora was born on June 17, 1931 in Payne County, Oklahoma to Arnold Ellis and Nannie Elizabeth (Howell) Keith. 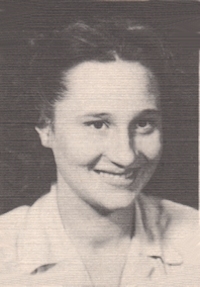 She graduated from Perry High School in 1950, and married Clarence Eugene Phelps on November 30, 1954. She retired from AT&T (Southwestern Bell) in 1986. Lenora was lovingly called “Grammie” by her grandchildren and great-grandchildren. She really enjoyed baking Christmas cookies and making candy every year for her family. She also enjoyed bargain shopping at yard sales and cuddling with her grandchildren and great-grandchildren. She was affectionately called “Aunt No” by her many nieces and nephews. She is survived by her daughter Diana Snyder and husband Mike of Carney, Oklahoma; three grandchildren Michael Snyder and wife Christina of Williamsburg, Virginia, Bryan Snyder and wife Rebecca of Bumpass, Virginia, and Teresa Alley of Carney, Oklahoma; six great-grandchildren Morgan and Sydney Snyder of Williamsburg, Virginia, Jaymie, Bryce, and Kara Snyder of Bumpass, Virginia, and Hannah Alley of Carney, Oklahoma; brother, Don Keith and sister, Clara Givens of Perry, Oklahoma, sister-in-law, Betty Keith of Enid, Oklahoma and several nieces and nephews. She was preceded in death by her parents, Arnold and Nannie Keith; her husband Clarence Phelps; brother, Herman Keith; sister-in-law Karen Keith, brother-in-law Eveartt Givens and great-grandson, Dylan Snyder. Memorials may be made to the American Cancer Society in care of Palmer Marler Funeral Home and may be taken in person to 203 East Fir Ave. or mailed to P.O. Box 189, Perry, OK 73077.